The 25-year-old Argentine wins his maiden ATP Tour title. 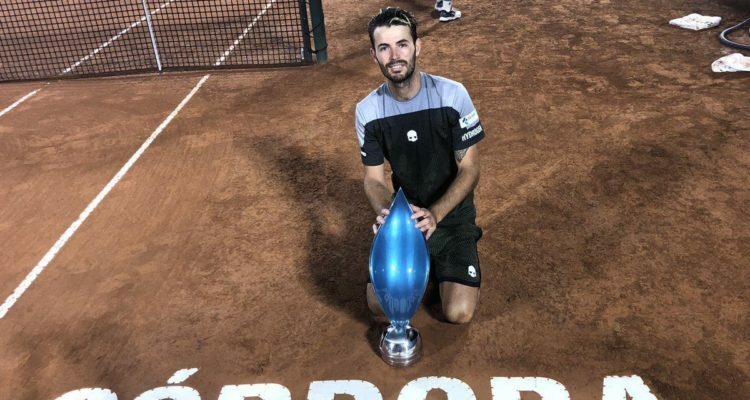 Juan-Ignacio Londero clinched his first ATP Tour career title at the Córdoba Open. The 25-year-old emerged victorious from the all-Argentine singles final with Guido Pella, rallying 3-6, 7-5, 6-1 on Sunday evening. Londero, who claimed his first two ATP Challenger titles last year in Mexico City and Marburg, and entered the main draw of the ATP 250 clay-court event with a wild card, earned his first five ATP Tour-level match wins of his career this week, which led to his maiden trophy. The Buenos Aires resident broke his opponent’s serve five times in the final to secure victory in two hours and three minutes. Londero received 250 ATP Rankings points and rises to a career-high World No. 69. He earned $90,990 in prize money. This entry was posted in ATP Tour, ATP Tour News and tagged ATP Tour, Córdoba Open, Juan Ignacio Londero.